This one sounds exciting. I can't wait to add it to my collection. I'm on this sci-fi kick. Hah, this one sounds like fun. I don't recall reading a time-travel book in a really long time, perhaps I'll have to check it out. Thanks for sharing! This book seems pretty interesting! Thanks for sharing! Definitely going to add that on my TBR shelf on goodreads! Oooh nice! 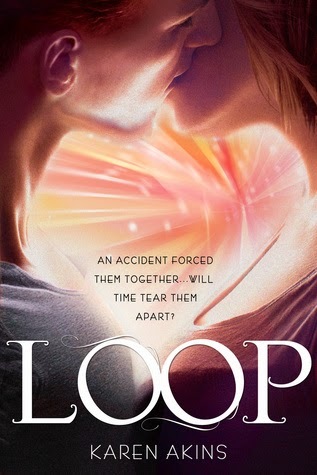 Time travel books can be really fun or really complicated...hoping this one's fun! I can't wait to read this, it sounds so good. I got the approval email for an ARC yesterday, and I'm so excited to start it. Hope we both love it! This looks SO good! I just got an ARC, so I'm furiously trying to finish what I'm reading now do I can start it. I love books with time travel or time manipulation! Thanks for stopping by! Ooh, this sounds amazing! I love time-travel as a plot device, so it sounds like it would be right up my alley! And that cover is beautiful!